A common complaint among collectors, especially those with kids or grandchildren, is that collecting is no longer for children. While it is true that that many of the current offerings from card companies are aimed primarily at adults, there are still a handful of avenues that target younger collectors. In fact, collections of sports stickers, such as 2013 Topps MLB Sticker Collection, are some of the most popular hobby products in the world. Collecting sports stickers are a good pastime for children. They take the sports they like and play, and make collecting a hands-on pastime. Stickers connect kids to baseball, football, hockey, basketball and soccer in a way that can be much more fulfilling than just casually watching a game on television. Over time, these could also act as a gateway to the more expansive world of sports cards. The majority of sports sticker collections are admittedly plain. However, this can be a good thing, as it helps keep the prices down and allows beginning collectors to pick up the basics without being overwhelmed. 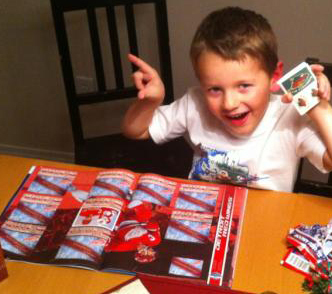 Another appealing aspect of collecting sports stickers is that it can be done by yourself, with friends or as a family. Collecting sports stickers can also be a way of making learning fun. Stickers and albums can help kids with basic reading skills. Stats and organizing the stickers by number are great for basic math skills. And because it's doing something they enjoy, chances are a lot of children will learn without even knowing it, one of the best ways to deeper understandings of concepts. The learning continues as young sticker collectors get to know more about sports. Parents and family can help this by sitting down with their kids as they open packs. It's an easy, informal way to start conversations about baseball, your hometown football team or the world's greatest basketball players. Passion is contagious. If your kids sense your enthusiasm, there's a better chance they'll be infected. Another appealing aspect is that sports stickers can be a good incentive for young kids to work hard in school or to do their chores. They're a fun alternative to allowance. Simply buy a box and keep it stashed away somewhere. Then you can disperse a pack or two per week, or however many you decide. 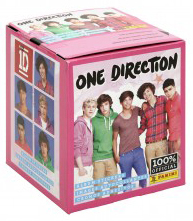 By having a full box on hand, you won't be constantly running to the store to buy more stickers. This also means that you can offer more spontaneous incentives if you so desire. Boxes are also cheaper in the long run. But let's face it, a lot of kids simply love stickers. They're fun. You can encourage your kids to collect a complete set and then use the duplicates to decorate binders or poster boards that can be hung on the wall. Many collections even come with their own pullout poster that have spots for stickers on them. Sports stickers are relatively cheap. They're usually about $1 a pack and $2 for the album at the store. However, if you're looking to go after a full set, you can find unopened boxes and save money. While there are sports cards in this price range, most sets are more expensive. Also, the many insert sets can also be overwhelming for young collectors who just want something simple. To many, sports cards are, at least in part, an investment. Even those who don't normally sell want to have that option in the future if need be. Sports stickers, in general, are very different. It's more about building a set than uncovering a single sticker that will garner the price of the box. There isn't a huge secondary market for sports stickers. Some player and team collectors may branch over from cards, but not a lot. Further emphasizing the set focus is the fact that Panini lets collectors buy the singles they need at very reasonable prices. The other big difference between sports stickers and sports cards is the presentation. Stickers are smaller. And while they almost always have the player's name on the front, stats are usually left for the album. A Gateway to Card Collecting? 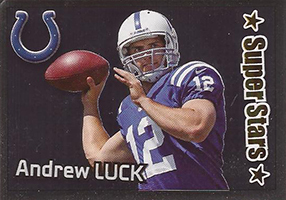 For many card collectors, their start in the hobby came with sports stickers. They may not carry the prestige of an autograph or memorabilia card, but there are lots of skills that transfer from stickers to cards. Organization is one. And even though stickers are often peeled and stuck in an album, parents can also teach their kids a lesson in handling. A sticker that's carefully placed in the album is much more attractive than one that's crooked or torn. Hopefully, if they continue collecting, the experience they had as a kid will better prepare them for handling the more valuable cards they will come across later on. And you never know what will be valuable in ten or 20 years. It is crazy to see how valuable the seemingly worthless card sheets from Sports Illustrated for Kids Magazine have become. While the general rule is that sports stickers don't gain a lot of value, there are some big-time exceptions. A Panini Mike Tyson sticker from 1986 sold for $5,000 in February, 2013. However, it should still be stressed that the main focus of stickers be for benefits other than making money. If that does happen, great. But that is probably best left as a side benefit. 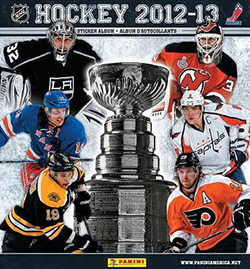 Each of the major sports have yearly sticker collections. 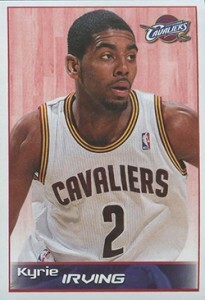 Topps currently produces baseball stickers while Panini does football, basketball and hockey. Both also do soccer collections that are particularly popular in Europe and other parts of the world. Click on the links below to shop for boxes of the latest and most popular sports sticker products. 2013 Panini Triple Play Baseball Factory Sealed 24 Pack 168 Card Box Stickers? 2012 Topps MLB Baseball Stickers FACTORY SEALED HUGE 50 Pack Box-HOT! Rare !! 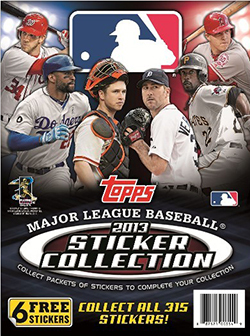 2013 Topps MLB Baseball Stickers MASSIVE FACTORY SEALED 50 Pack Box-HOT! NEW ! !